When you meet Chris, the first thing that you will notice is how down to earth and approachable he is. "I think a lot of people are intimidated when they first meet a lawyer. I want them to know right away, that I am no different than they are." Chris was raised in East Haven and attended Fairfield University through a combination of scholarships. After graduating from Fairfield he put himself through law school and eventually began working at Kennedy Johnson D'Elia & Gillooly. Chris' ability to resolve cases favorably for his clients is based on his aggressive yet practical approach to the law, a strong work ethic and the fact that there is seldom a legal question he cannot find the answer to. 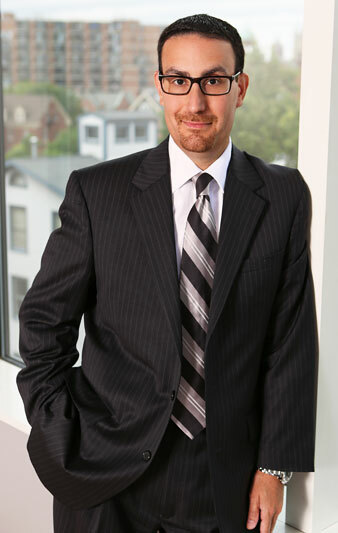 He has handled countless workers' compensation cases informally, at trial and on appeal; he has tried a number of civil jury cases; served as an arbitrator in personal injury cases by agreement of other attorneys; argued before the Connecticut Supreme Court and Appellate Court; and testified as an expert witness in the area of workers' compensation law. "I understand that every client's case is different with its own unique set of circumstances. For that reason, no two cases can be handled in the same way. Some cases require me to be aggressive, some require me to compromise, while others require something in between. Knowing how to best approach a client's case comes from a combination of experience and skill. Regardless of the circumstances of their case, I want my clients to know that I will work hard to get them the best possible result."